FLIR optical gas imaging cameras allow smaller Volatile Organic Compound (VOC) leaks to be detected from a safe, non-hazardous area. The most important criteria to achieve this are the camera’s detector and sensitivity. 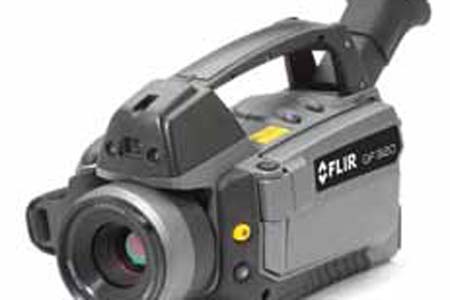 Optical Gas Imaging (OGI) cameras have been used for several years in the oil & gas, petrochemical and related industries. Many chemical compounds and gases are invisible to the naked eye. Yet many companies work intensively with these substances in their production processes. Detecting leaks of volatile, gaseous compounds can be dangerous, which immediately explains the success of optical gas imaging cameras. As they are operating in potentially hazardous areas, safety is of vital importance for maintenance engineers. With gas detection cameras, they can make use of a quick, non-contact measuring instrument that can detect small leaks from several meters away and big leaks from hundreds of meters away. More specifically, they can view a leak that is in a restricted hazardous zone from a zone which is safe, or has very little or no hazardous classification.